"We want to work together with our customers to help spread adoption of Bitcoin and our platform. What better way to align our interests than through crowd funding? It's the logical next step and we are proud to see our existing shareholders back up this route." The campaign will go live today and will be active for 45 days. The funding goal is set to $500k. With the funds Safello is expanding its team and offering outside Sweden to better serve the European market. Schuil explains:"We want to double down on localisation of our platform. Our UK market entry was a success until our bank shut us down. We lost the battle, now we want to win the war." To accommodate the Bitcoin community Safello will accept bitcoin contributions. It has done so in previous rounds as well. Schuil explains: "We know that many of our customers would be interested to invest if they can do so with bitcoins. As a Bitcoin company we of course need to support this. For customers who are already verified with Safello this will also be the easiest way to invest." To streamline the process Safello partnered up with the leading crowd funding platform FundedByMe. Daniel Daboczy, CEO & Co-Founder of FundedByMe elaborates: "We have been following Safello from day one and they share what we stand for: Trust, Quality while working hard on changing the old and stale financial structures. Bitcoin and crowdfunding are great partners as both are models of the new economies where almost everyone from almost everywhere can now have a small stake in the next big thing." Schuil comments: "Daniel and his team has built an awesome platform. When we just founded the company in 2013 we shared an office with FundedByMe in Stockholm. We often talked about collaborating and this time around the stars aligned." Barry Silbert of Digital Currency Group takes the anchor investor role to crowd funding round. Silbert: "In July 2014 we invested $250.000 in Safello, making it our largest investment outside the US to date. Since then, the Safello team has shown great resilience and executed phenomenally. Today, we are excited to reinvest in a company with such potential, and believe the company’s upcoming product releases and business development initiatives will propel it to even greater heights in 2015." FundedByMe is the fastest-growing crowd financing platform, connecting investors and entrepreneurs – be it through reward-based crowdfunding, loan-based or with equity offers. Founded in April 2011 in Sweden, FundedByMe today operates with additional offices in Finland, Denmark, Norway, Spain, Germany and Singapore. Since then it has collected 10 000 000 EUR (100 000 000 SEK) for entrepreneurs from almost all European countries and some Asian. In February 2015 FundedByMe launched loan-based crowdfunding for small and medium enterprises based in Sweden. Now the companies are able to borrow money from private investors from nearly all over the world. 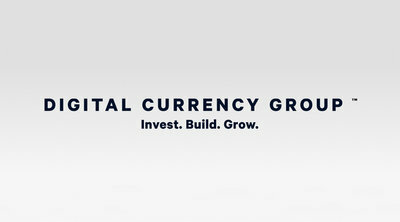 Digital Currency Group builds, incubates and seeds bitcoin and blockchain technology-related companies, and Barry has been the most active seed investor in the digital currency industry with over 50 investments in 15 different countries.